My off-duty reading life seems to be rather bi-polar at the moment: fluff (The Book of Rachael) followed by depth (The Eye of the Storm) and now back to a bit of fluff again. I really enjoyed Monica Ali’s Brick Lane, and the television adaptation it spawned, so when I saw her new book at the library, I snapped it up. Reading the blurb at the back, I wondered if I should put it straight back onto the New Books shelf for some other reader to enjoy because it didn’t really sound like the sort of the book that I normally read. Sure, I’m happy to catch up on the adventures of the royals as I sneak a peek at the magazines at the check-out, and I’m a sucker for remaindered books with glossy pictures of the royals. But I wasn’t sure about making the investment in time to read a 300 page book exploring WHAT IF Diana didn’t really die but faked her death in order to start a new life in America. I borrowed it anyway. I was interested to see what a talented writer would do with what must be the chick-littiest theme of them all. Ali doesn’t actually name her character as Princess Di, but you’re expected to make the connection. The story is told in alternating slices. The first slice is a 2007 narrative of a group of friends in small-town America who have welcomed Lydia as a newcomer to their midst. Lydia is English, mysterious and unforthcoming about her background, and on the verge of falling in love with a good local man. Rewind, then, in the second slice, to the 1997 diary of Lawrence, an academic and secret service man who once served as Princess Diana’s private secretary. While he is penning his entries, Lydia (Diana) is writing to him, as her only confidante after faking her own death, leaving her sons to grieve her loss. In the third slice, the 2007 narrative steps back a couple of weeks to the arrival of an ex-paparazzi photographer who unwittingly, and rather implausibly, stumbles onto the biggest scoop of his life when he recognizes the disguised princess. Does it work? It’s trashy, it’s light, it’s contrived and it’s also rather unputdownable once you stop scoffing and just go with it. If I wanted to intellectualise it, I would say that it explores similar themes to Brick Lane: exile, displacement, identity. But that would be to put too much freight onto a very light vessel. It’s an indulgence all round: Ali probably didn’t need to write it and I certainly didn’t have to read it. But she did, and I did, and I can probably think of worse ways to spend an afternoon. Read because: I’m a supermarket check-out royal watcher deep down. Obviously not deep enough. After finishing reading the dissatisfying The Book of Rachael, I felt like reading something astringent and masterful. The pre-publicity for Fred Schepisi film was gearing up, so I thought I’d have a quick read of the book before seeing the film. What was I thinking? There’s no such thing as a ‘quick read’ of a Patrick White: he’s magisterial, allusive, dense and uncompromising. But, after overcoming my aversion to him after being subjected to Voss as assigned HSC reading (what were they thinking? ), I now consider him to be challenging, but well worthwhile. Nonetheless, it is just as well that I saw a blurb summarizing the plot of the upcoming film because even on p.195 I hadn’t quite realized what the book was about. You could say that it took some little time to get going. I don’t know whether the nutshell synopsis of the film helped to focus my attention, or whether the book itself tightened at that point, but from about p. 200 on, I found it compelling in a grubby, voyeuristic way. 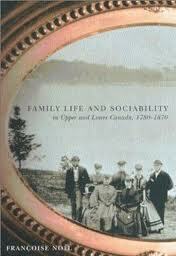 The emotional stillness of the book- the eye of the storm- is the dessicated,manipulative matriarch, Elizabeth Hunter. She surrounds herself with nun-like nurses who cater to her petulant, fretful demands as everyone waits for her to die. Circling her, sweeping in from their European lives are her two children, the celebrated actor Sir Basil who has probably seen the best days of his career, and her brittle daughter, Dorothy, the Princess de Lascabanes, whose marriage into minor European nobility had failed. Despite their platitudes, they despise their mother for her beauty, her promiscuity, her self-centredness and her casual, but deliberate, cruelty. Her children are both failures in their different ways, and in need of money. They decide to curtail the expenses of their mother’s home-based nursing care by placing her into a home in order to access the income from the sale of her home and effects. And that’s all there really is to the plot itself, although it’s a story that has been told many times before as the frequent allusions in King Lear attest. In many ways, the whole scenario is a staged performance, and the characters themselves are conscious of the theatricality of the situation- indeed, the narrative breaks into scripted dialogue in places. At times I really wasn’t sure what was happening, or whether what I thought had happened actually did. There are whole paragraphs of images tumbling one on top of the other as a rush of disjointed memories floods Elizabeth’s mind, and events on which the whole book turns seem to occur in that half-world between sleeping and waking. White’s narrative style continually unsettles your confidence in yourself as a reader. I’ll be interested to see the film, because given the fairly slight plot line, I wonder how the nuances and complexities of the interior world of the characters will be portrayed. White himself barges into carnival and parody at times with his crudely named nurses Sister Manhood and Sister Badgery, and the exaggerated grossness of his characters’ behaviour is probably better left imagined than depicted on the screen. Still, if anyone can carry this off, it would have to be the cast assembled for this film version- so watch this space. Snap! Lisa at ANZLit Lovers has just read the book before seeing the film too (and I strongly suspect she’ll see it before I do)- her review is carefully-referenced and well worth reading. Book sourced from: my own bookshelves! Purchased second-hand from the now defunct Printed Treasures bookshop in Macleod. 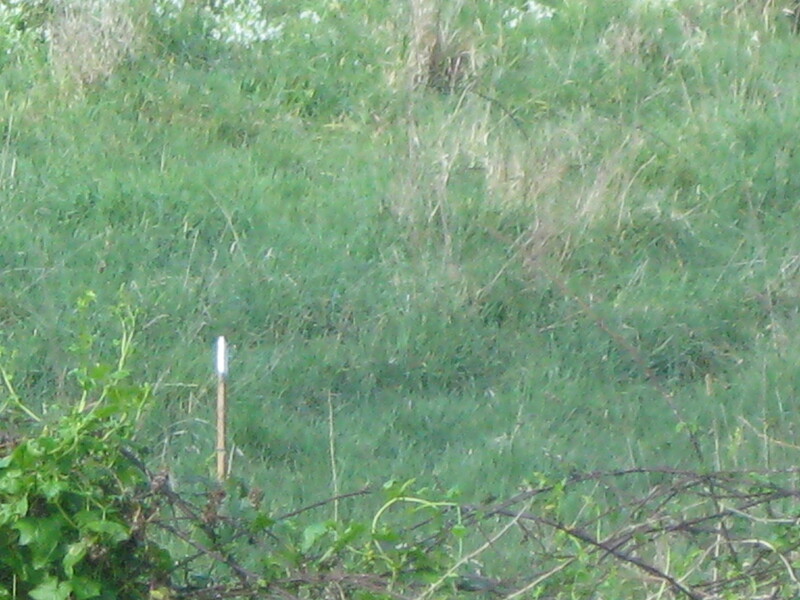 What’s this peg doing in the middle of the Banyule wetlands? Is this the harbinger of the Eastern Freeway/Ring Road extension? There’s a lot to lose…. Update August 2018: VCAT upheld Banyule Council’s refusal of a permit for use of Banyule Homestead as a function centre. The case ran over ten days, and Banyule Council and numerous neighbours ran a well-organized and well-researched case. You can read VCAT’s decision here. Update August 2016: Applications by the owners have been made to Heritage Victoria to make changes to Banyule Homestead in order to fit it out as a functions venue. Go to http://banyulehomestead.wordpress.com for more information about this latest chapter. The risibly named Heritage Victoria this week approved the subdivision of land surrounding Banyule Homestead for the construction of three townhouses. I am appalled. Banyule Homestead has long been one of the landmark buildings in Heidelberg. The gothic-style mansion was constructed in 1846 by one of the overlanders from Sydney, Joseph Hawdon and it is, in fact, one of the oldest surviving houses in Victoria. Construction of an early, single-story building commenced in 1842 and so, yes, our Judge Willis would have been able to see the first buildings of Banyule as he stood in his driveway on the hill above what is now Warringal Park. Heidelberg, with its fertile flood plains and views attracted men who became squatters, and indeed, it was the quality and reputation of his wealthy neighbours that attracted Willis to living in the area, even though it was some ten miles from the court. You can almost plot the houses out on a map- on all the high peaks around Heidelberg, the houses attached to large properties would have been visible to each other. Willis’ rented house on Rose Anna Farm looked across east to Joseph Hawdon’s Banyule in what is now Buckingham Drive; south towards D.C. McArthur’s house Charterisville along what is now Burke Rd Nth, and west to the Boulden Brothers property at the top of the hill leading up to Upper Heidelberg Road.His friend William Verner lived in the valley between Willis’ house and Banyule, while Viewbank Farm stood on a raised area on the Yarra Flats, clearly visible from Banyule. These houses, as they stood in the early 1840s, were not the mansions that they were later to become with further additions and alterations, but they did form an important network of the pre-gold rush ‘gentry‘ in Port Phillip. You need imagination to visualize the sightlines between these houses today (where they still exist) because they have been largely obscured by trees. But you don’t need imagination to see Banyule as it was from the river, because as an aspect it is still largely unchanged today. Until Heritage Victoria’s decision, that is. 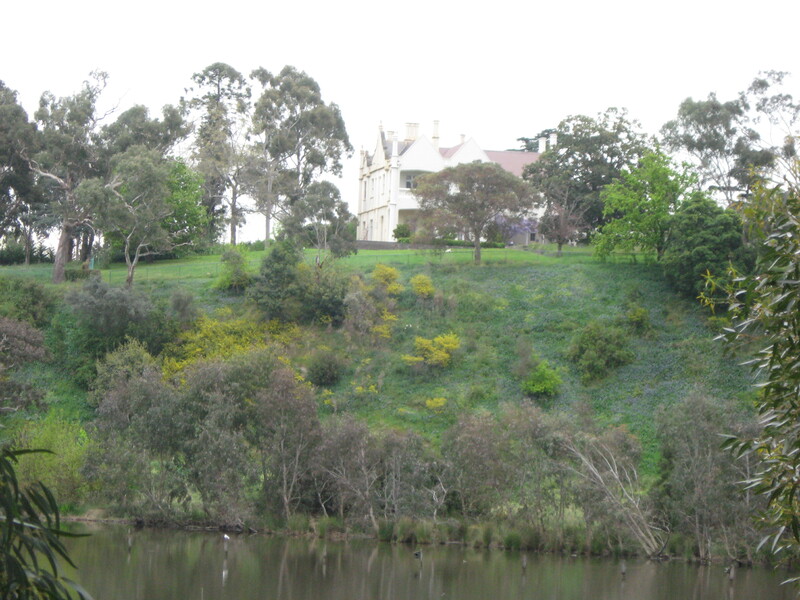 Banyule stands on a cliff, overlooking the Yarra flats below. 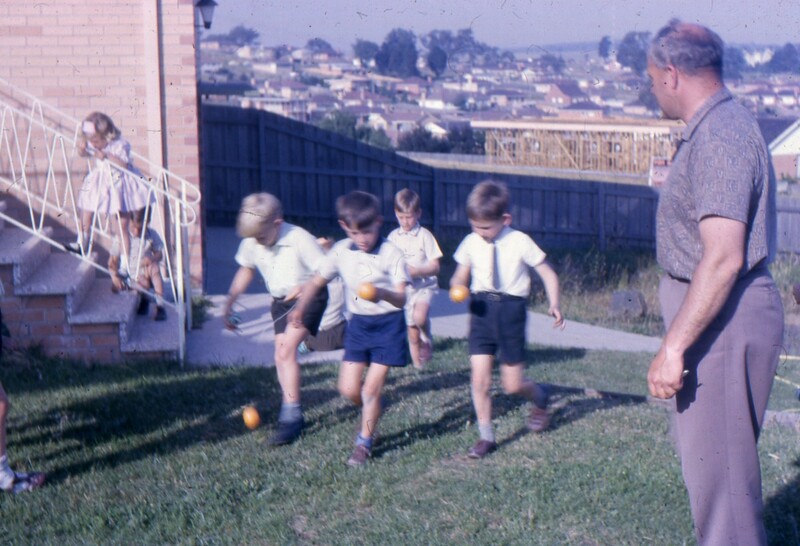 …and it was visible from my front garden, just to the right of my father’s head in this 1960s photo of party games on the front lawn (how quaint!) In fact, this is how I know that Judge Willis could see Banyule because his house stood on the hill immediately behind my childhood home. It is the house that gives my local council its name: I went to Banyule High School and I go to the Banyule Festival. The Victorian Heritage Database shows that it is listed as being of National Significance by the National Trust; it is on the Victorian Heritage Register and it has local council heritage listing. These are long-standing listings, already in place when Banyule (shamefully) returned to private hands after being in public ownership as an art gallery. How can all these listings count for nothing? Is anything safe? Obviously not. 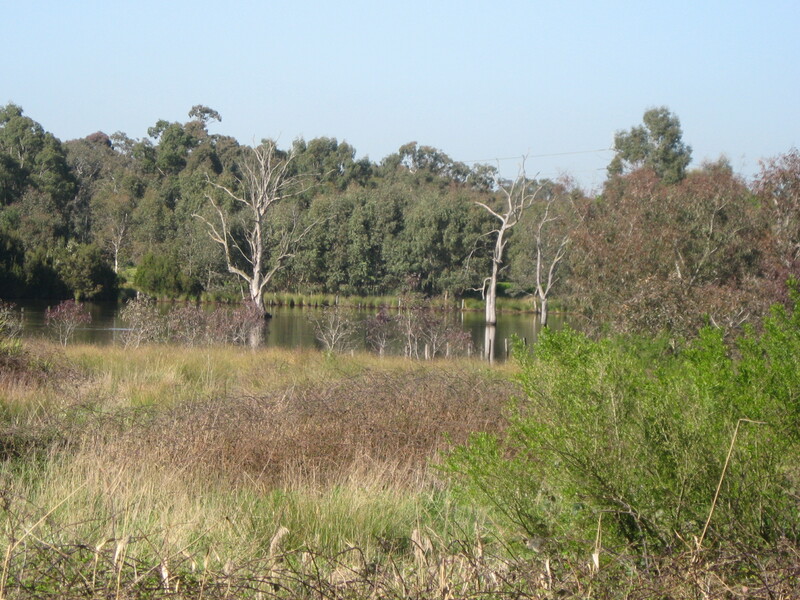 As it is, the gardens that surrounded Banyule have been degraded and surrounded on three sides by houses. A slice here, a slice there. Enough has been lost already, and it can never be regained. We can put a stop to further loss now. 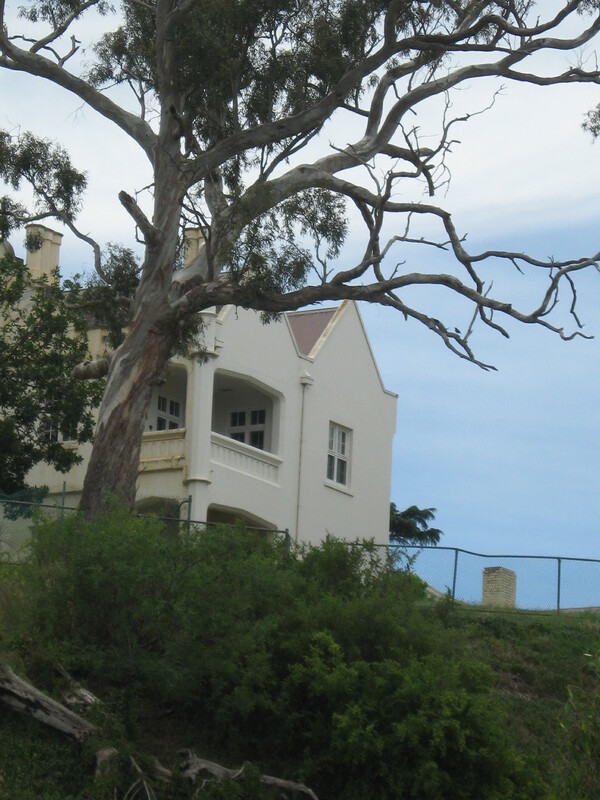 One of the oldest mansions in Victoria should not be further nibbled away by development. A house might be privately held, but its aspect belongs to all of us. Most large houses in suburban Melbourne have been hemmed in by other houses and hunker on truncated, remnant blocks, with all scale and sense of position lost. But with Banyule, we don’t have to rely on our visual imagination to see it as it was. We can stand on the wetlands on the Yarra Flats and look up- and there is it. P.S. Update April 2012. 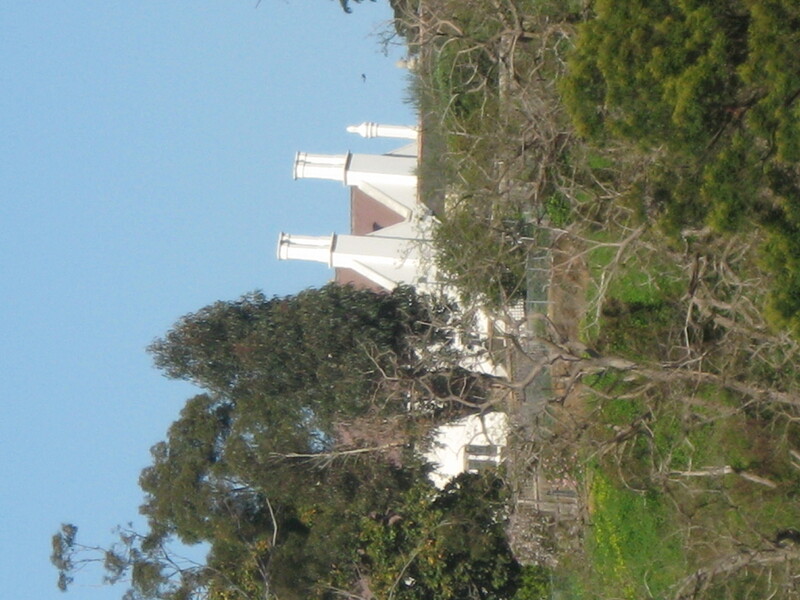 If you share my concern about Banyule Homestead, please go to Banyule Homestead Matters . It is located at http://banyulehomesteadmatters.wordpress.com . At the moment, it is just celebrating Banyule Homestead, but the moment that anything changes, you’ll read about it there. P.P.S Update 29 December 2014. I have decided not to renew the premium status of the Banyule Homestead Matters website. The site is still available, but the URL now includes ‘wordpress’ (i.e. it used to be banyulehomesteadmatters.com and now it is banyulehomesteadmatters.wordpress.com) You will probably see a screen telling you to contact the administrator to renew the registration. There’s no need to do that- I know that the registration has lapsed. If you click on the small X, the warning will disappear and you’ll be able to access the site as before. You may need to use the menu on the right hand site to negotiate the site as the Home page no longer shows all the posts in chronological order. It might be worth keeping an eye on the Friends of Banyule website, and the Heidelberg Historical Society has information about Banyule as well. P.P.S. Good places to see Banyule Homestead. 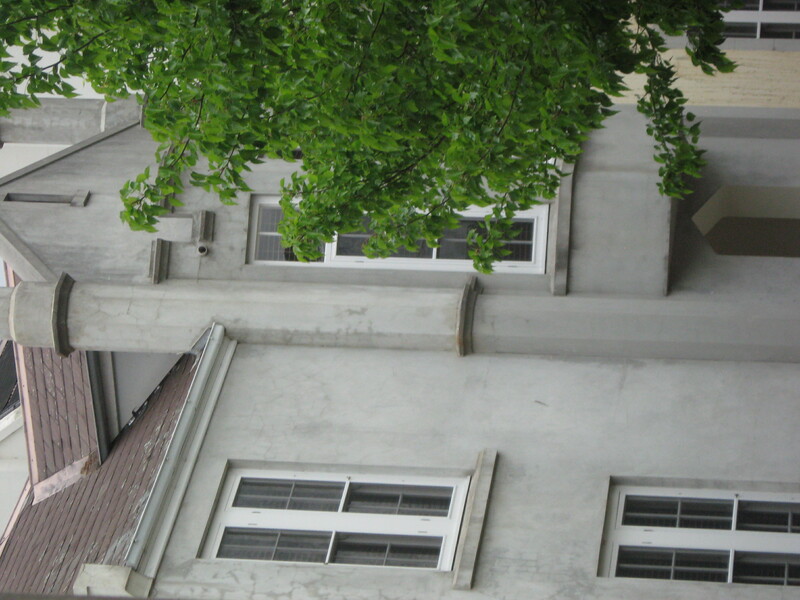 The homestead is located at 60-74 Buckingham Drive, but it’s not easily seen from the street. Click for a Google Map showing good vantage spots here. There’s a new John Lukacs book out, I see. I like books about history, written by historians. As a reader, they make me feel like an eavesdropper and novice rolled into one. This small book felt as if it were perhaps compiled from a series of lectures, similar to Margaret Macmillan’s The Uses and Abuses of History or Inga Clendinnen’s True Stories. But no- these are chapter-length reflections on historianship as a way of viewing the world and as a profession, and its relationship with literature. They are written for their own sake. I don’t really know all that much about John Lukacs. I have only read one of his books- Five Days in London: May 1940- and I was very impressed by its close attention to just five days spent before and after Dunkirk, when Churchill decided that Britain would continue the war against Hitler after the fall of France. It was a closely-focussed history that looked at just a few days (although VERY important days to be sure) while addressing big questions and issues. After reading this latest book, I realize that it exemplified two of the big themes that Lukacs has explored over his long publishing history. First, Five Days in London was an analysis of the personalities who were involved in the choice to stand up to Hitler, and the aspect of choice is important to Lukacs. His second theme, again exemplified in Five Days in London is that of public sentiment. In the case of Churchill’s decision in 1940, it was set against the perceptions of the British people that were being monitored through the Mass Observation project. He draws a distinction between Public Opinion which ostensibly can be measured and quantified and Popular Sentiment which is a more subtle and less graspable thing. I guess, in an Australian context, this would be the difference between a Newspoll with its stark black and white choices, and a Hugh McKay survey . He notes the dangers to democracy of government driven entirely by public opinion- and don’t we all know about that in Australia at the moment. To my mind, false claims can be made for both digital/technological and paper-based sources, and digital data-banks of journals and digitization have brought otherwise obscure journals and sources into a brighter light. A microfilm is more accessible to many more sets of eyes than an individual archive will ever be, especially on the other side of the globe. He notes that history is not science, and that it is much closer to literature. Fact and fiction are related to each other, but not identical, and he champions not so much the fictional nature of history, as the historicity of fiction- that “every novel is a historical novel in one way or another” (p. 120) He is open to the work of amateur historians and aspects of what-if histories that acknowledge the potentialities that lie in any situation. “…the historian’s recognition that reality encompasses actuality and potentiality reflects his propensity to see with the eye of the novelist rather than with the eye of the lawyer” (p 124). He closes the book with an Apologia and a greeting to his ‘good, serious’ historians. He is, indeed, an “old” historian- eighty six years old, and by his own admission he spent much of his career working in small universities. Although his list of publications is exhaustive, many were published by ‘trade’ presses with an eye to a wider audience and he senses the ambiguity in the term “prolific” that his academic peers use to describe him. There is, as he admits, an element of vanity in his chagrin at his marginalization. Lukacs has elsewhere described himself as a reactionary and certainly elements of this come through here. He is dismissive of the shortsightedness of American liberal historians, and there is an implicit assumption that the historians and the profession are male. But I sense that he does not fit easily into any one political box. He describes his book The Thread of Years as his “most extraordinary book”. It has 69 chapters, each consisting of two parts- the first a vignette about episodes in the lives of various imaginary people existing because of the historical realities of their places and their times. The second part of each chapter is Lukacs’ own dialogue with an imaginary conversant who challenges either the historicity or the accuracy of the vignette. He says that it is not a new kind of history, because almost all the men and women within it are imagined, but the times and places are not. He sees it as neither a history nor a novel. And it’s sitting over there on the shelf, third row down, eight from the left. I think he would want me to read it.